It is widely known that patients with mental illness experience discrimination and stigmatisation [1, 2, 3]. There has been a lot of research into self-stigmatisation by individuals with mental illness [4, 5], which is often due to societal stigmatisation of mental illness [6, 7]. One would expect health professionals to have a more positive attitude to mental illness and the mentally ill because of their professional knowledge, but several studies have shown that this is not the case [8, 9]. A recent systematic review concluded that older general practitioners (GPs) had a more negative attitude to patients with schizophrenia . It has been shown that GPs’ stigmatisation of patients with mental illness depends on their level of experience of such patients, so that the more experience they have, the less stigmatisation they exhibit . Comparisons of the attitudes of different categories of health professional have shown that GPs stigmatise mental illness more than psychiatrists do [12, 13, 14]. GPs play an important role in the care of patients with severe mental illness (SMI) because these patients have higher rates of mortality and morbidity from physical health problems than the general population [18, 19, 20] and because GPs are the main point of entry into the Spanish health system. 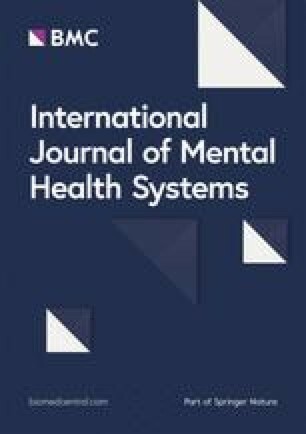 We therefore aimed to analyse the relationships between GPs’ sociodemographic status, work-related variables and their perceptions regarding mental illness. These perceptions will be defined as the level of satisfaction of GPs with their relationship with the community mental health centre, their erroneous beliefs, stigmatisation and attitudes regarding mental illness and their perception of their level of training in mental health, schizophrenia and other psychotic disorders.”. Our most important finding, however, was that GPs’ perception of their relationship with the local mental health team and their beliefs about mental illness varied according to their PCC affiliation. The GPs which reported the best relationship with the community mental health centre were all working in PCCs located in the catchment area of the Central CMHU. Similarly, GPs affiliated to the six teams with the lowest Belief scores (i.e. less erroneous beliefs, stigmas and attitudes regarding mental illness) all but one (Nueva Malaga) belonged to the Central CMHU catchment area. At the time of the study the Central CMHU had been working collaboratively with GPs for over 15 years, whereas the Northern CMHU had more traditional working relationships with GPs. This suggests that collaborative working improves communication and relationships between specialist mental health teams and GPs. It may also help to minimise misunderstanding of mental illness amongst GPs, because greater contact between GPs and mental health teams may increase GPs’ knowledge and understanding of mental illness; this relationship between contact with mental health services and knowledge of mental illness has in fact been observed in the general population . Probably these aspects favour better care for patients with mental illness from Primary Care. At present, new, more collaborative relationship between primary and secondary care are being introduced in order to provide patients with mental illness with better, more holistic care . Collaborative ways of working have been shown to improve the care of patients with severe mental illness [25, 26, 27]. A study carried out in a rural area showed that patients preferred services where there was an emphasis on collaboration between primary care and specialist mental health services .